Fished the first of the Bispham Angling sea league on the Gynn , Blackpool today. Had a wide variety of baits and rigs , and was looking forward to it . First 3 cast a whiting on each , not the biggest but big enough to go on the card .... and then it died!, dropped a dab off 2 hrs in .... bugger.. very quiet . Heard a few of the big hitters were catching at distance with black tipped with h white rag ( I didn’t have any !) 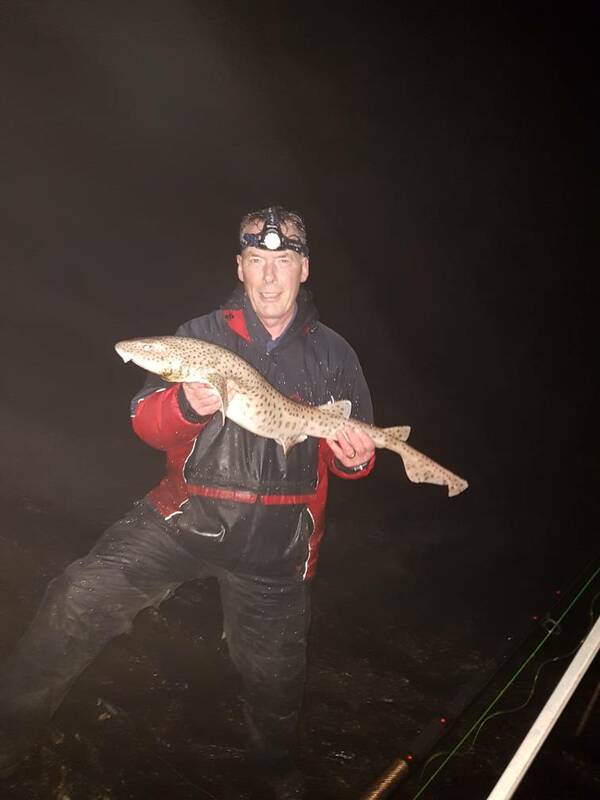 decide to belt one out for twenty minuets on my last cast, noticed a bit of interest on the tip , all out called , a bit of weight there , double of a whiting on the top hook and dab on the bottom, lifting it up.... dab drops off! Summed up my day really ! Nice to get out anyway . North east superstar Gareth Gardiner won it with 12 fish for 280 cm.My effort was 4 whiting for 80 cm.! Kamasan B940, they have never let me down yet , just think the fish were finicky today. Might just be me being Shiiiiite! Good luck, hope you catch a few. Hiya Steve. It was a tough day and you were unlucky with the dab. They have a nasty habit of taking the hook from the eye end. I was fishing the same day as you on the Gynn, with a different club. Was bang next to the boating pool. I was lucky and managed a 45 Codling a few whiting and dab. Shame we didn’t catch up. Would have been good to have a natter. Next time. Shacky wrote: Hiya Steve. It was a tough day and you were unlucky with the dab. They have a nasty habit of taking the hook from the eye end. Hope Millsy was paying attention.